In 2019 at some point I’ll have photographed 450 weddings since 2007! What does that mean aside from the obvious! Well it means I know how the wedding day flows and what happens when & how long it takes to do parts of the day, like getting ready, the ceremony, the photo shoot etc! And whether it’s me photographing your wedding or somebody else, your photographer more than any other person on the day, knows (or should know) how the day flows & the timings of everything. And while not every wedding day is the same, I would honestly say 90%-95% have the same flow throughout the day. So here I’m going to lay out exactly how my day generally goes, and what I think is best for you the bride & groom to get maximum time to relax and enjoy the day with your friends & family, which is what it’s all about – I know how the day flows & goes, but ultimately it’s your day and I just go with it! 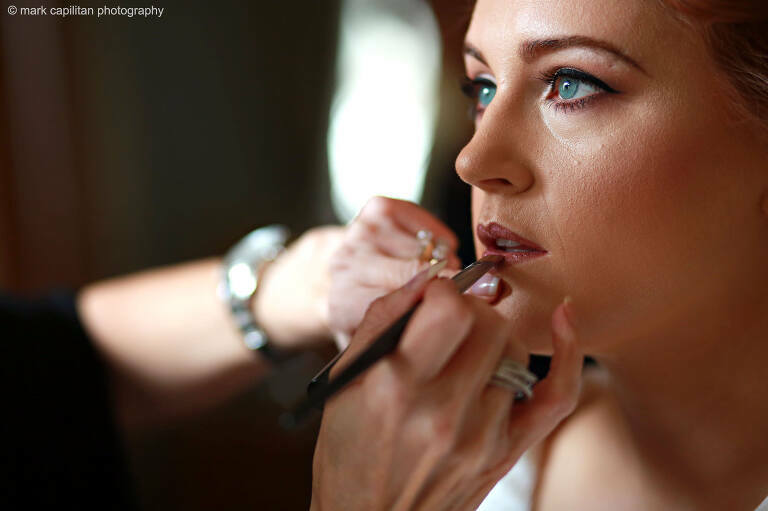 At 90% of my weddings I will start at the brides home or where she is getting ready. But for 10% or so, I will start at the grooms house and that is no problem at all, provided the locations aren’t too far apart. For arguments sake we’ll say the ceremony is at 1pm, therefore I will be at the brides home roughly around 10:30am. So if I’m starting at the grooms home, I will generally arrive there at 9:30am. Early, yes, but I have a lot to do including driving to the brides home after! 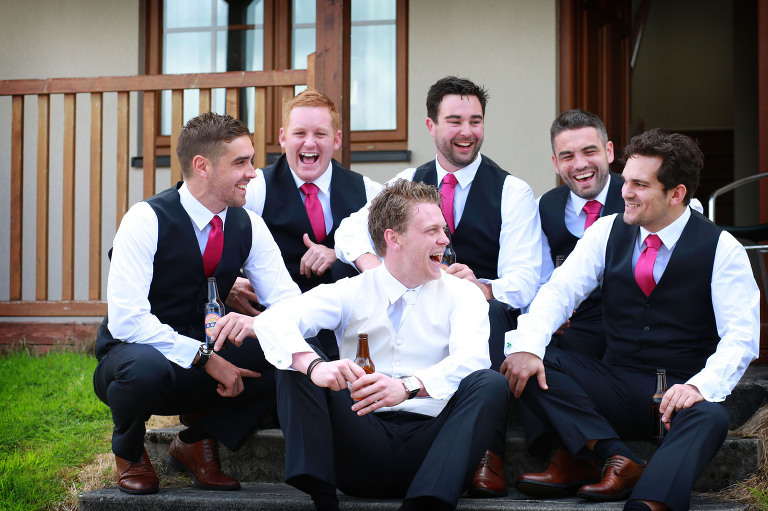 For most guys, 9:30am is too early to be suited & ready but that is no problem, as we can still capture some relaxed photos around the home, including the cars, farm machinery and whatever else! And for some, putting on the suit is no problem, and I’ll capture all that in a documentary style if that’s the case. I usually arrive at the brides home or where she is getting ready, two and half hours before the ceremony. Again, it sounds like an awful long time to be around, but trust me, this time of preparation in the morning flies by! And I have plenty to do in that time – photograph details, hair and make-up getting finished, and everything else that’s happening! Basically how I photograph the morning with the girls is almost full documentary style where I’m in the background keeping out of the way and letting whatever happens, happen…there’s enough going on that you don’t need another guy getting in the way! Hair and make-up is generally still being finished as I arrive. On occasion it will all be finished when I arrive and I love these days! I’ve worked with countless make-up artists and the best of the best will either have the bride finished when I arrive, or will just be finishing up (Ann Young & Charlene Flanagan, always! ), letting me capture a few images such as the above and below shots. 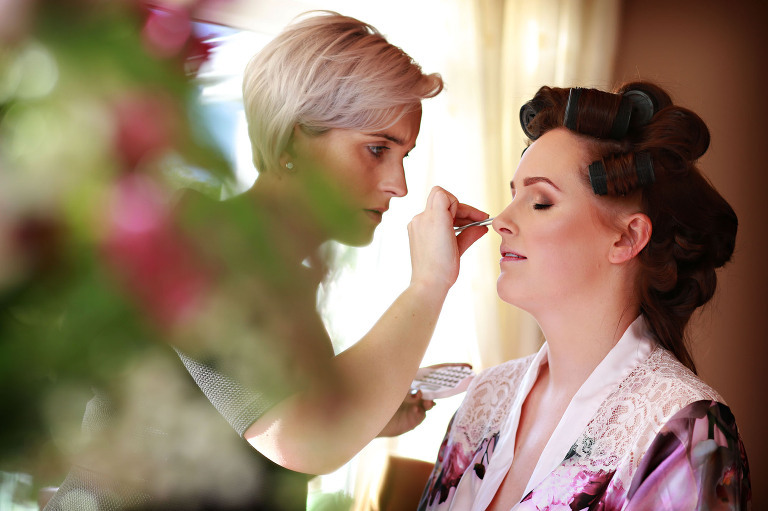 Most photographers will agree with the next statement, that if at all possible when you are scheduling your make-up on your wedding day, try not to leave yourself until last and definitely be fully finished at a minimum of an hour before the ceremony. You want your morning to be relaxed and have time to do whatever you want rather than rushing to do everything at the last minute. And also, here’s some full honesty (something I learned at my very first workshop in 2006), I try not to photograph the bride without make-up as more often than not, these images, won’t go into the album afterwards. So if the bride is left until last, images such as the ones below, opening the grooms gift or looking through mum’s wedding album, might not get seen again. Also you’re definitely going to want a photo in those beautiful wedding robes you picked out for yourself and the girls! So what else happens during the morning? All sorts of things, that again, I just step back and watch and capture! So now everybody is ready, hopefully around an hour before the ceremony is due to begin, and it’s time to put on the dress, for real this time! Again from having done almost 450 weddings, it definitely is a good idea to put the dress on as soon as you are ready. Firstly, your photographer needs time to get pictures when everybody is ready, and the more time you have, the more pictures and family groups they can get. Also, a lot of videographers, have to leave well before the photographer, in order to set up microphones etc in the church. I always think it a shame when make-up has run late and the videographer isn’t around for when the bride gets dressed and ready. And finally, things just happen when that dress goes on for real! If you are getting ready early, then delays don’t matter! Get ready early! Again it means you can have a laugh with your bridesmaids and myself or your photographer will have plenty of time to get loads of pictures, which is what we are there for! And also, by having the bride and everybody ready early, means I get to leave for the church in time to capture some images of the groom and his family, but also, it gives everybody in the brides home a chance to relax without any cameras there – it’s important to have time with your bridesmaids to chill and take it all in…it can be a very emotional time for some brides. For bridal portraits, I generally take around ten minutes to get them done. If I have more time, I will for sure capture all sorts of family groups and even some previous bride and grooms if there are part of the family. The next series of images were taken in the morning of Emma & Cathal’s wedding, and as everybody was ready so early (thank you Lorraine Kilgannon from Beautilicious), I think I captured the most family groups ever in a morning as there was no time pressure and everybody was there! Following the bride and bridesmaids getting ready and the bridal portraits, I head off to the church. I can’t tell you what time that will be as it varies at every wedding but ideally I’m there 15 minutes before the ceremony is due to begin, as I like to capture the groom and his groomsmen and also the groom with his family. That is not always possible due to time constraints (usually when make-up runs late, it pushes everything out from there!) so if I do not get the grooms family then, I will capture them later in the day. For your ceremony, give at least one full hour for it. And during the ceremony, I’m shooting it as unobtrusively as possible, staying out of the way, but capturing everything also. One thing I try to say to couples beforehand is don’t be afraid to chat to each other during parts of the ceremony, as it means myself & your videographer can capture real genuine moments. So the ceremony is all finished and you are married! But you still have to greet all your guests at entrance of the church/venue. At 99% of my weddings, this happens, so I’m going to put this on here. And of course how long this takes depends on how many guests are attending the wedding. For example for a wedding with 200-300 people (like most of my weddings) I have seen this take from 20 minutes (a couple that knows time is precious) to 45 minutes (a couple that likes to chat!). So bear this time in mind, as it’s always a part of the day that most couples forget can take a while! In my opinion the best time to capture the family photos is after the receiving line, when everybody has left the church. If weather and light and backgrounds allows me, that’s when I’m going to do them. It means everybody is there on site, so we can get them done in about 5 minutes! It’s not always possible though, and some couples do prefer to do them at the reception venue. This is the part of the day that varies at every wedding because the venues are generally different. If you have a long drive, more than 30 minutes, factor that into the day, as it’s time you will not get back. If you have a longer drive, an hour or so, I definitely recommend having your ceremony earlier, probably by the same hour. You don’t want to arrive at the reception and not have time with your guests, and that is what a wedding is all about, spending time with family and friends. 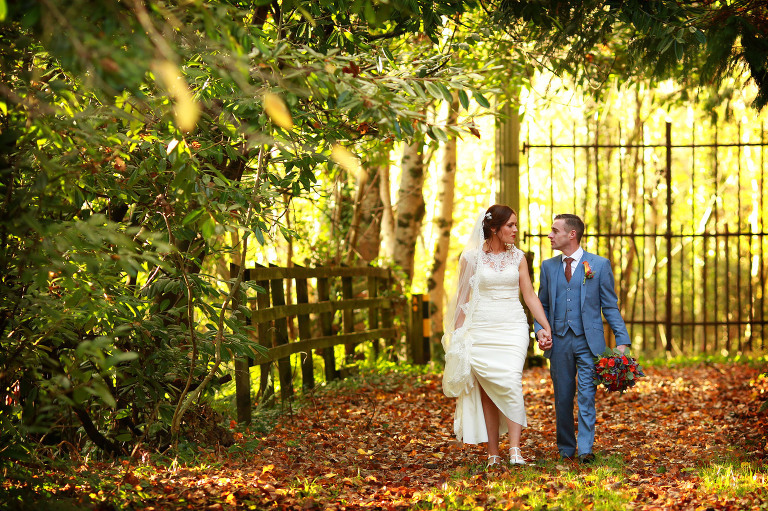 You can do the photo shoot in two places, either en route to the reception venue or at the reception venue. Everybody is different and wants different things. You can see my thoughts on the location of your photo shoot here. If I’m your photographer, pencil in 20 minutes for me to get the photos I need. If you have a videographer also, they’ll need some time to get what they need too. And most will be shooting while I’m getting the specific shots I need, and vice versa, so we maximise the time. After all the photos are done, families done, bridal party done, bride & groom, I’m pretty much going to leave you alone to enjoy the reception and I’ll step back and start documenting things again! Hopefully you’ll have loads of time to catching up with friends and family, but that does depend on all the pieces above! But you’re at the venue so from here, you should now be in full control of what time you want to sit down for the meal etc. Before your wedding we will have gone through any special requests you might want during the reception, and this of course is when we’ll do them! And I always tell couples, just grab me if there’s anything else you might want. If you have any further questions or anything, please contact me here!